30/12/2011 - It is the single seater with which Fernando Alonso got close to the victory of the 2010 Formula One World Championship winning 5 GPs (Bahrain, Germany, Italy, Singapore, Korea). It is the Ferrari F10, the Formula One challenger that the future champions of the Italian F3 European Series will have the chance to drive for an entire prize testing day to be held at the end of the forthcoming racing season. 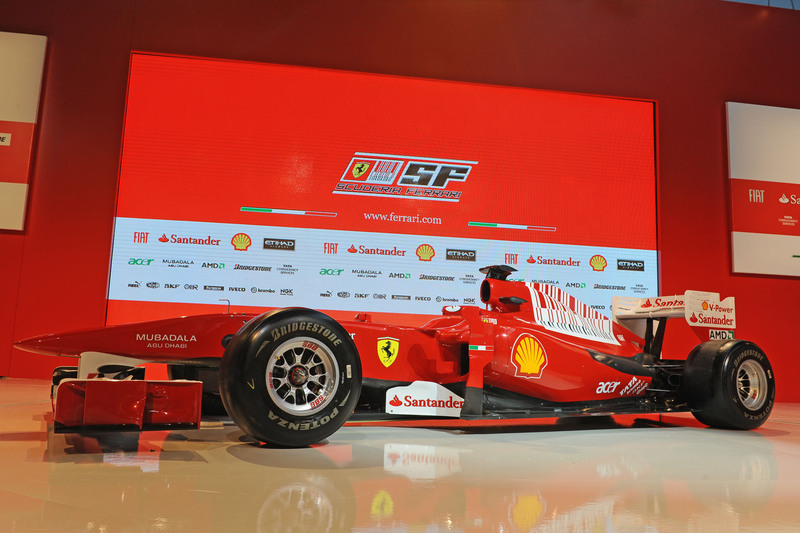 The extraordinary initiative that will award a dream to the protagonists of the tricolored series therefore will be extended to 2012 thanks to Scuderia Ferrari and C.S.A.I. This is a landmark in the strict collaboration linking the Maranello House with the Italian Federation that has been confirmed in the meeting held last 20 December at the Pranching Horse headquarters in the presence of Ferrari's vertex represented by Piero Ferrari, Stefano Domenicali and Luca Baldisseri and Csai's, the Sportive Automobile Commission of the Automobile Club of Italy, represented by the President Angelo Sticchi Damiani, the Secretary Marco Ferrari and Gian Carlo Minardi. An exciting wish for the new year then, that once the Fiat Powertrain Racing engines equipping the Italian F3 cars will be switched off at the end of yet another thrilling racing season, will come true for the Absolute Champion and the Rookies Champion. The same dream has been lived this year by the Modenese Sergio Campana and the American Michael Lewis. This prize makes CSAI's Formula 3 unique in the world and is just one of the key factors of the next edition of the championship that announces to be even more exciting in 2012 thanks to a lot of novelties but also to the confirmation of the most appreciated and exclusive traits. The news "Italian Formula 3 2012 season, even more attractive and International" dated 07/12 illustrates the key-points of the coming season while the 2012 sportive regulations of the Italian Formula 3 and Italian Formula 3 European Series are present in the Regulations section of the website.